In regards to State Audit’s performed cash register reform audit, Krūmiņa mentioned that problems surfaced with development of regulations – no appropriate terminology was used and documents did not help clarify certain matters. Additionally, it was unclear how much the reform cost the state and what the country got from it. It is also not possible to determine how the reform benefited the country. Krūmiņa explained that although the reform was launched in 2011, so far only 59% of cash registers have been replaced. She allows that if the reform delays any longer new cash registers may no longer comply with new requirements. The state auditor said her institution has experienced situations when the state had simply lacked project management experience or knowledge on good implementation of projects. Krūmiņa allowed that Latvia may need to found an institution specifically for supervision of project management. State Audit is also waiting for State Revenue Service to submit a clear action plan for the cash register reform. She also said that soon the State Audit will present its report on the work performed by Riga City Council. The state auditor mentioned that so far Riga City Council has made no effort in following recommendations provided by State Audit. In 2017, regulations for new cash register and systems came to force in Latvia. In the inspection that followed soon after auditors found out that new certified and SRS-approved cash registers did not comply with new requirements, leaving room for tampering. 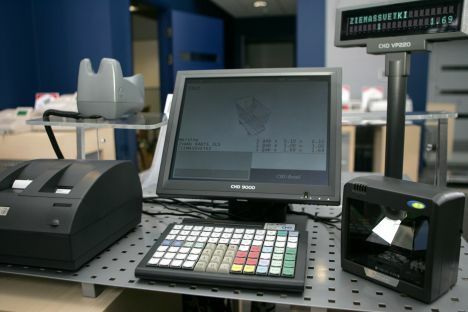 Because of that, SRS decided to exclude from the register several CHD cash register models. 18,000 cash registers in Latvia were found non-compliant with new requirements.